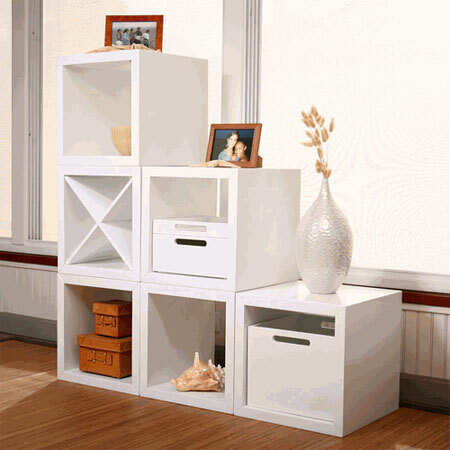 I saw this Matrix Cube Collection storage unit and thought how many combinations I could make from these modular cubes. I pictured them arranged as a room divider or a unit to house my stereo and TV. By adding internal shelves it is possible to store books and CD’s and to display ornaments. Using the criss-cross shelves the cube is perfect for storing wine and holds up to 12 bottles. Each cube is 18’ x 18” x 15’ deep and there are trays for storing accessories such as newspapers, magazines, books and so much more. Finished in pristine white or sleek black and lacquered for added protection, these units can be purchased in sets of six and it is possible to add extra units as you need. 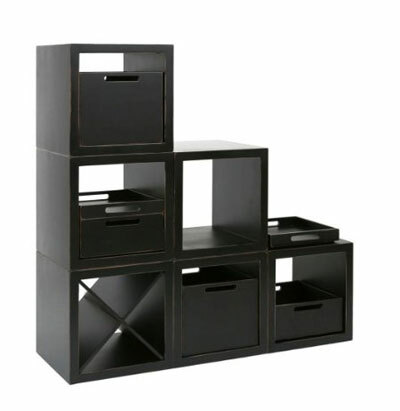 The cubes are highly suitable for small rooms and small spaces providing a smart modern approach to storage and display – They occupy minimum space and provide maximum storage. You become the designer because no matter how you use the cubes, they make a contemporary display that suites your decor. No need for tools or screws, stack them as you like and if you are not satisfied with the final arrangement you can redo in a matter of minutes. 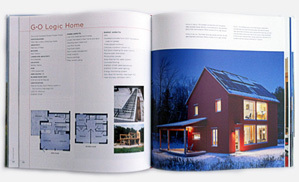 Reminds me of Danish style furnishing – slick and modern and at the same time very practical.